Our 55 Cent Chair. No. 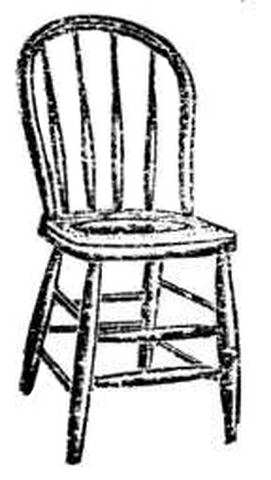 1T3 The Wood Seat Chair shown in the illustration is especially well constructed and neatly striped. This chair is made with four spindles, bow back, fancy ornamental stripes. It is made of hardwood and finished in golden oak.